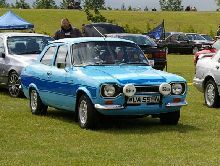 In 1969 Ford announced a new European sports coupe model that would hopefully create a whole new market sector in the same way as the American Ford Mustang, the Ford Capri had arrived. 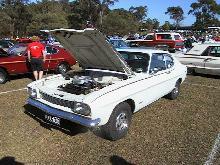 Ford had used the Capri name back in the early Sixties but this model was poorly conceived and bore no relationship with the new car. Based on tried and tested Cortina components the Capri was an instant sales success for Ford and soon began to appear in many different guises. 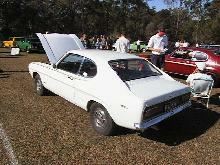 The base models were the Capri 1300 and 1600. The 1600 was obviously faster and better equipped than the 1300, but both models could be "personalised" to the buyers taste choosing from a long list of factory extras. 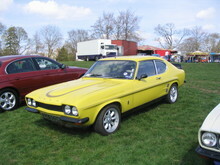 Production of this fist Capri model continued until the arrival of the improved Capri II in 1974.